NEW INTERNATIONAL COMPETITION OPEN TO ALL PUBLIC!! 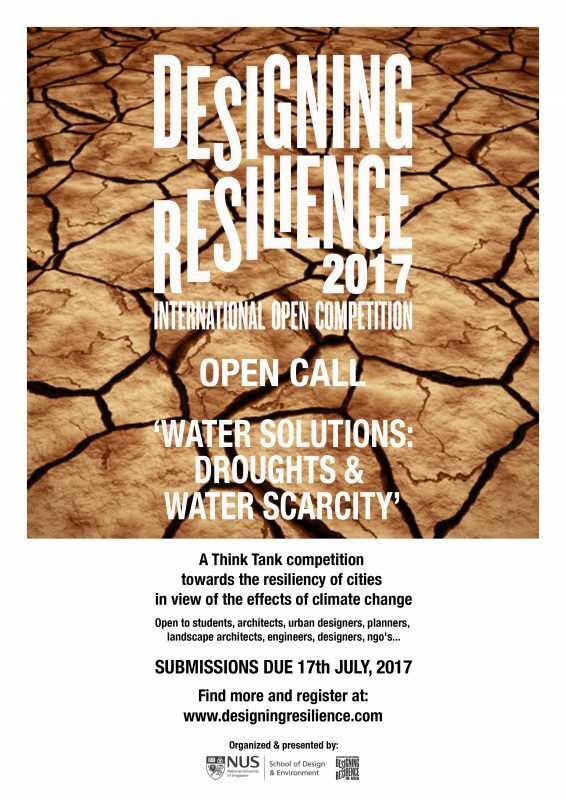 Open to students, architects, urban designers, planners, landscape architects, engineers, designers, ngo’s, organizations and everyone all over the world interested in sharing ideas and initiatives to tackle the effects of climate change. If you want to make a difference, if you want to have an impact, register and submit your design proposals today! !